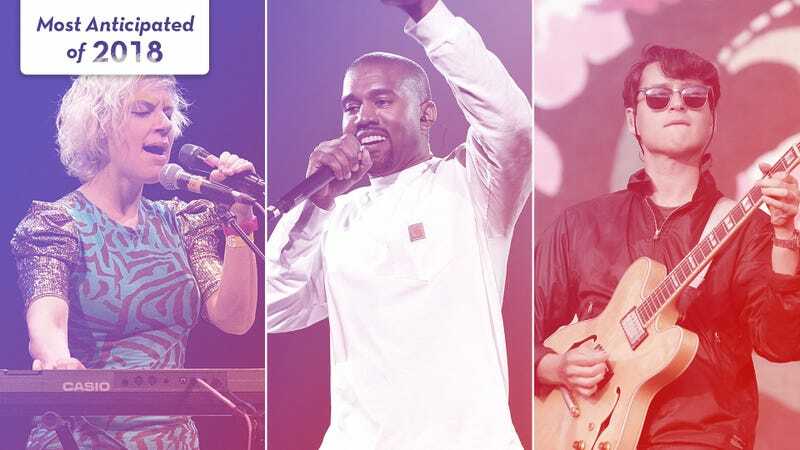 Merrill Garbus of Tune-Yards (Photo: Rick Kern/WireImage/Getty Images), Kanye West (Photo: Dimitrios Kambouris/Getty Images for Live Nation), and Ezra Koenig of Vampire Weekend (Photo: Chiaki Nozu/WireImage). Graphic: Natalie Peeples. With confirmed releases from the likes of Tune-Yards, Lucy Dacus, and Superchunk—plus expected new albums from My Bloody Valentine, Kanye West, Vampire Weekend, and more—2018 is already shaping up to be another strong year for music. Here are the albums we most look forward to hearing this year (or, at least, that we know of so far).